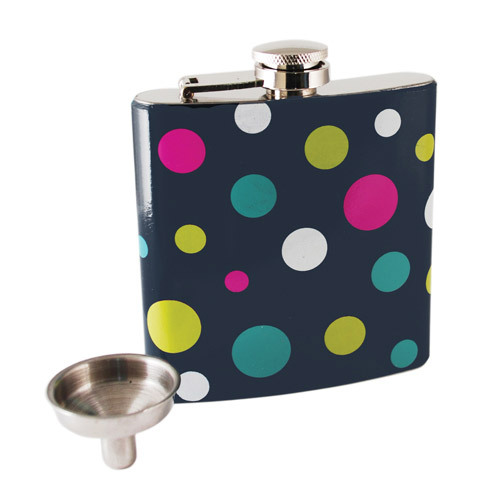 Hold your liquor in style with this Fancy polka dot flask from True Fabrications. It features a durable navy blue brushed stainless steel construction with a bright green, blue, pink, and white polka dot design. The screw top lid is easy to use and the included funnel makes filling a breeze. Complete with a manufacturer's 10 year warranty, this flask has a thin profile, making it easy to store and ideal for traveling.